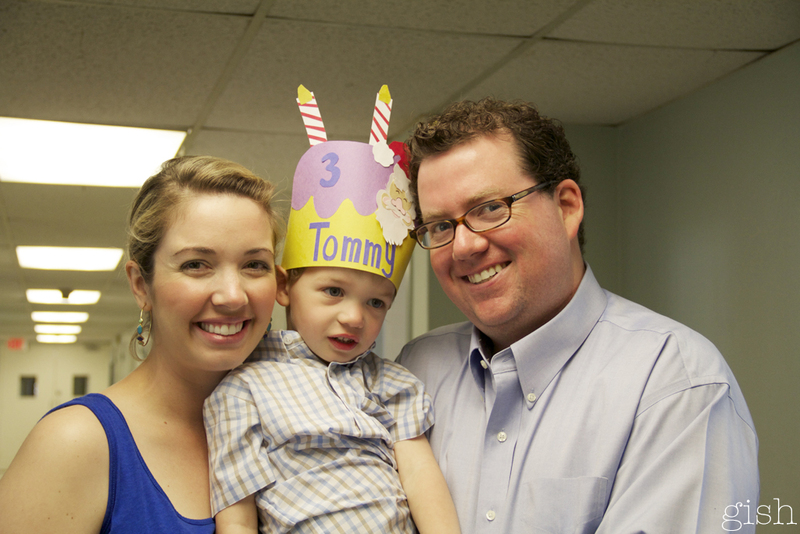 Yesterday we celebrated Tommy’s unbirthday (i.e. 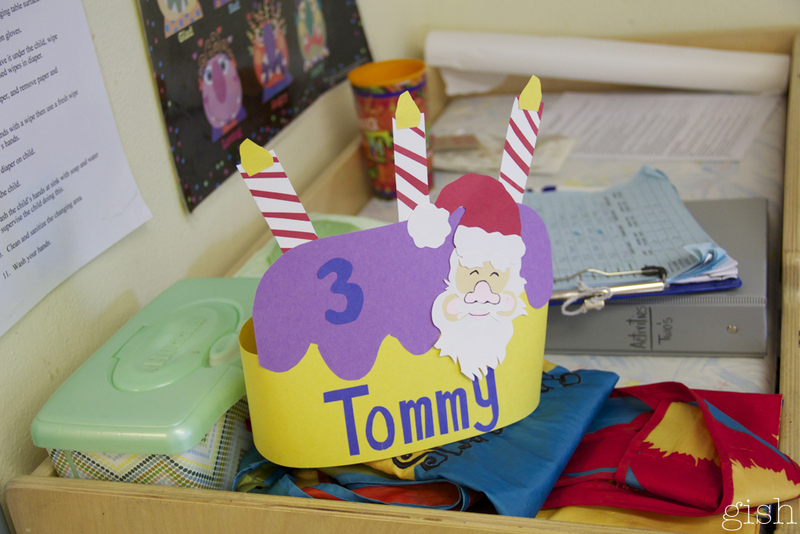 all the June birthdays) at his school. 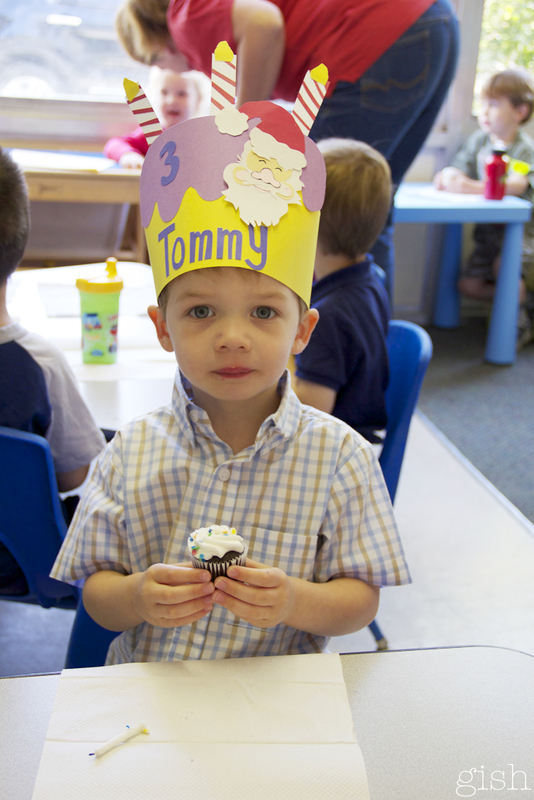 His special day came complete with a crown and cupcakes. 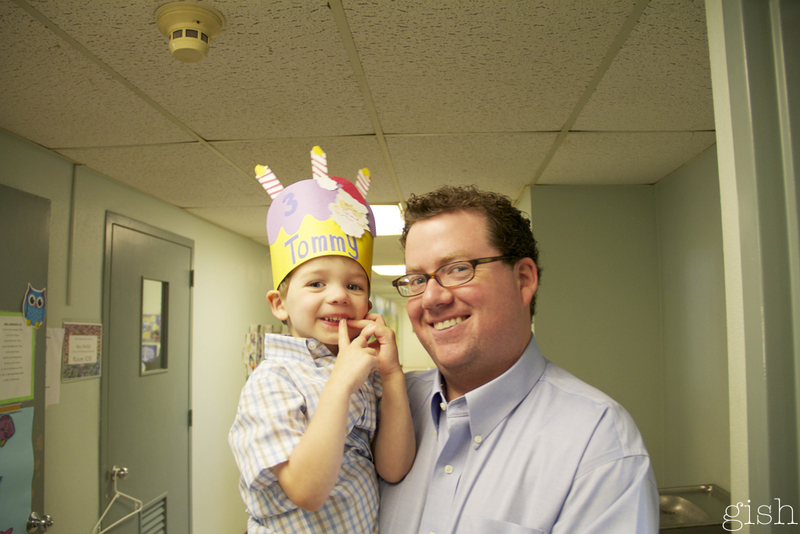 As we were driving to school we asked him what he wanted his crown to look like and he said yellow with Santa on it. 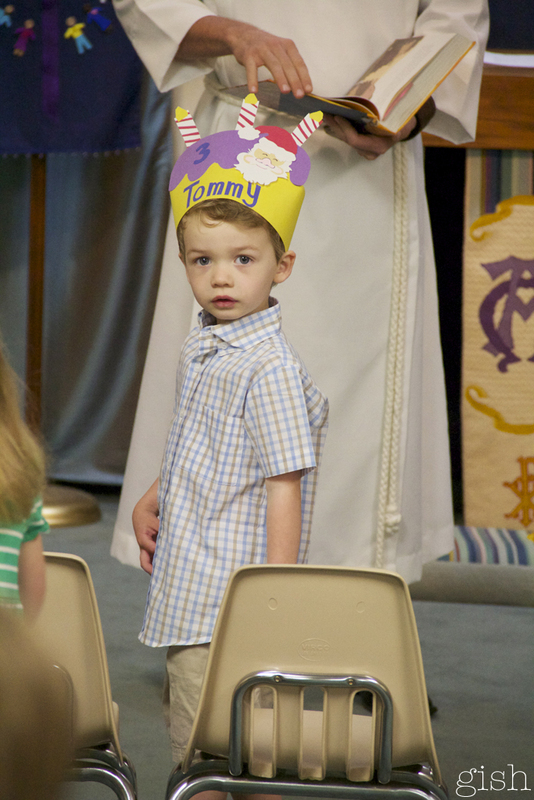 We laughed sweetly thinking this adorable child and his imagination have gotten the best of him. 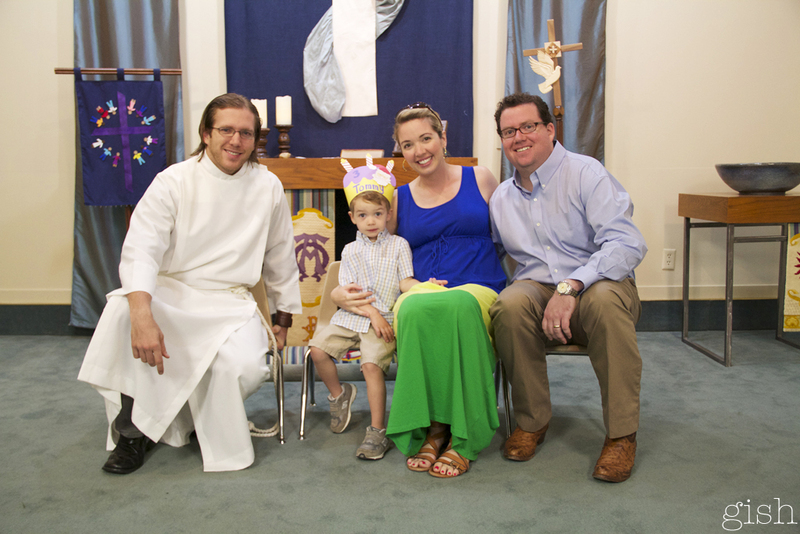 Little did we know he had actually, specifically requested a yellow crown with Santa on it and his amazing teachers, who never cease to amaze me, made it happen! I know the years fly faster than a speeding bullet but I really, really wish I could have paused this one. Although your not three quite yet, it was still a very special day my love.